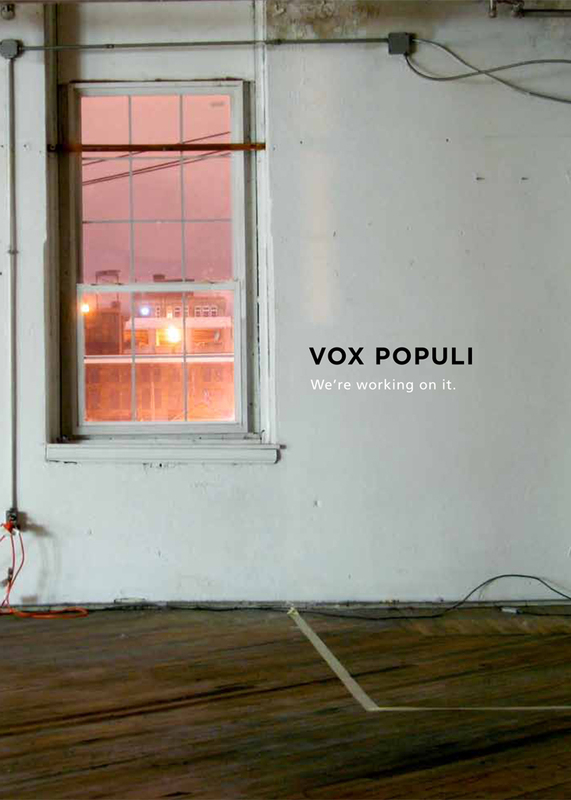 We’re Working On It is a visual representation of Vox Populi’s 21st year of programming (2009-2010). 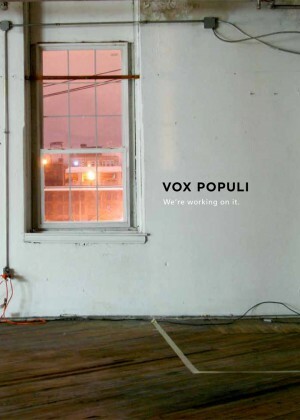 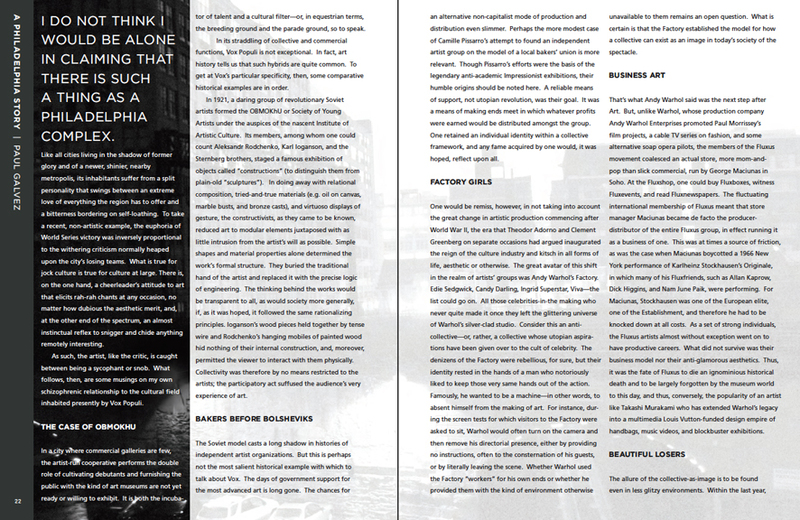 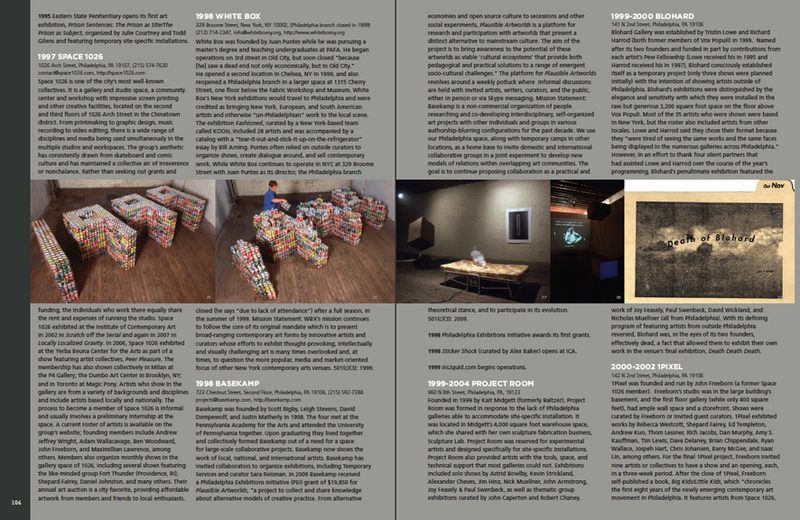 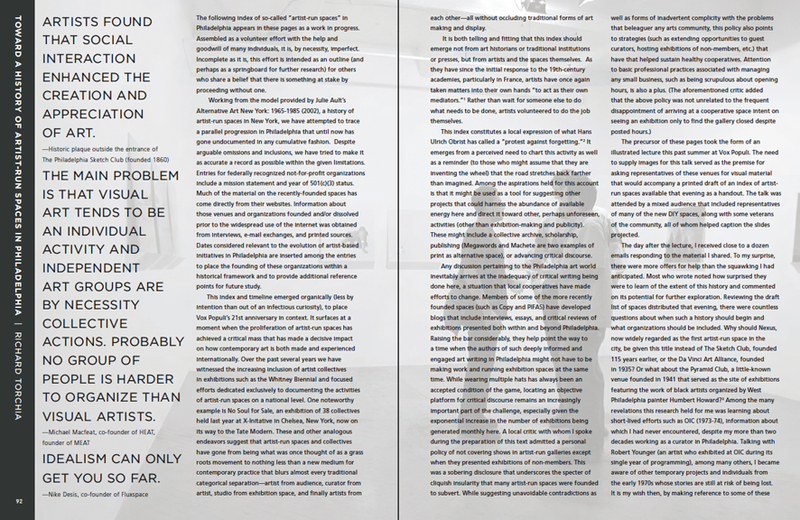 Also included in the pages is the first written history of Vox Populi (by Amy Adams), the starting point for a history of artist-run spaces in Philadelphia (by Richard Torchia), and an essay on our city’s identity as a center of artistic production (by Paul Galvez). 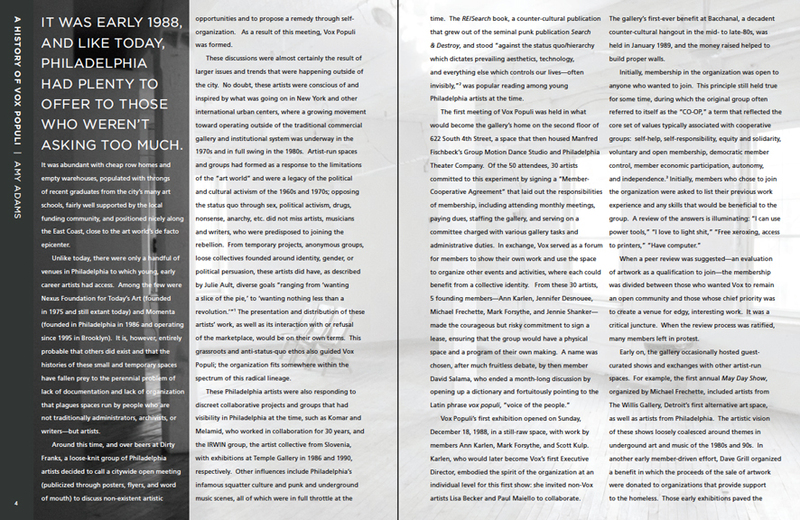 An illustrated timeline of artist-run spaces in Philadelphia, dating from the 1960s, rounds out this important publication.